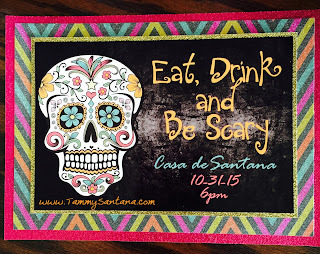 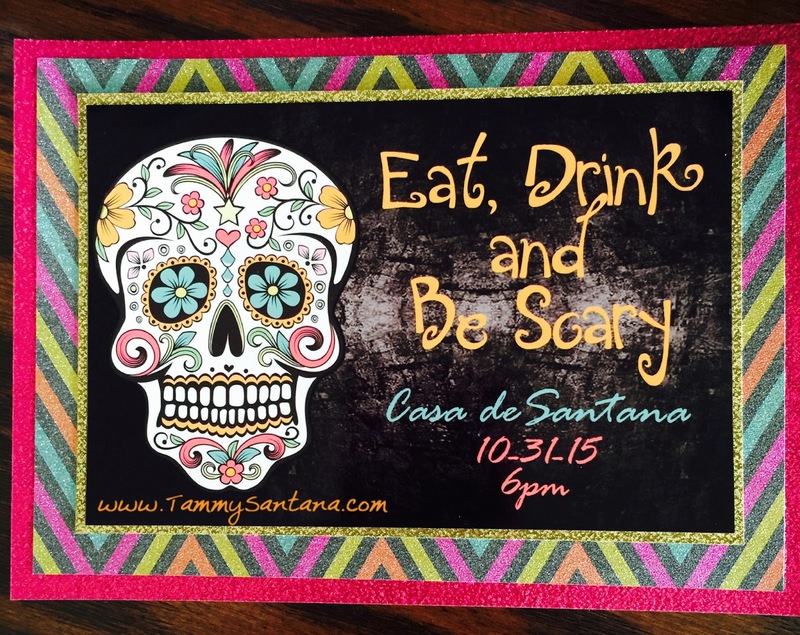 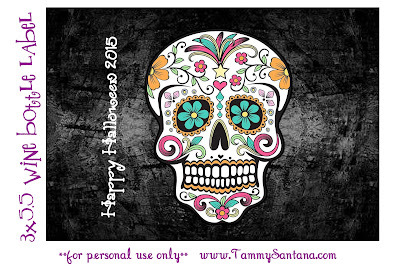 TammySantana.com: Halloween Sugar Skull Wine Bottle Label with Free Printable! Halloween Sugar Skull Wine Bottle Label with Free Printable! 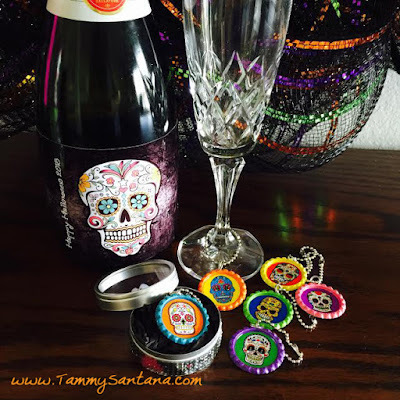 Are you looking for a fun hostess gift for a Halloween party you are attending? I am sharing my free Sugar Skull printable with my readers today! 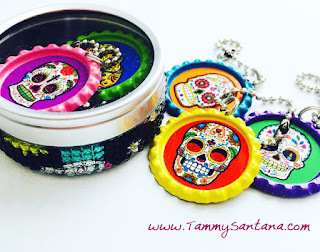 You can make these wine charms and wine bottle label that make a great hostess gift! 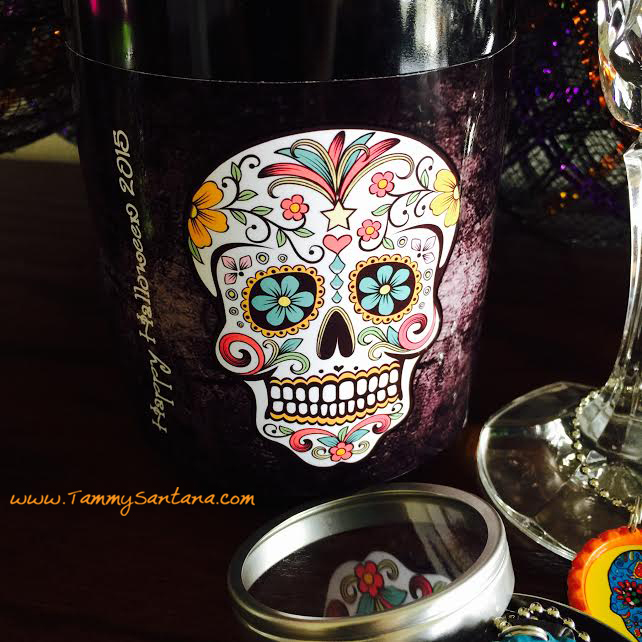 You can run the label through a Xyron machine and attach it to the wine bottle. 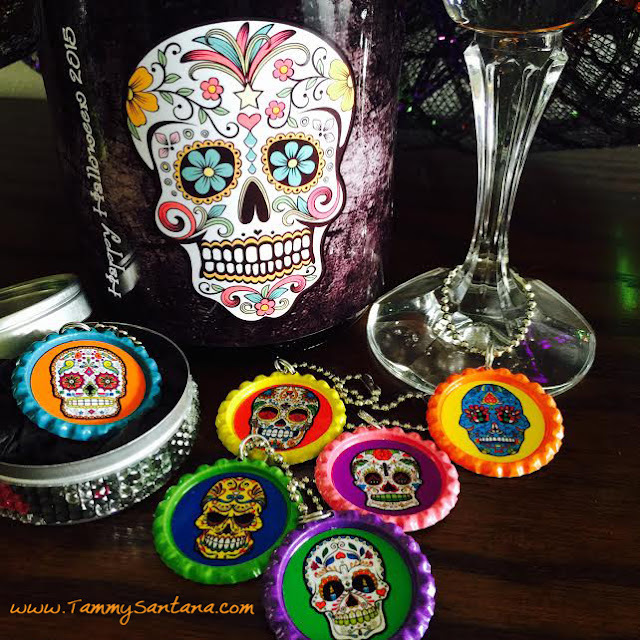 If you give the wine charms with the wine, it makes a great hostess gift!